The following commentary focuses on The Judgement of Thamus, the first chapter in Postman’s book Technopoly: The Surrender of Culture to Technology. Postman (1992) uses the legend of Thamus to illustrate and effectively deliver a cautionary warning that “it is a mistake to suppose that any technological innovation has a one-sided effect. 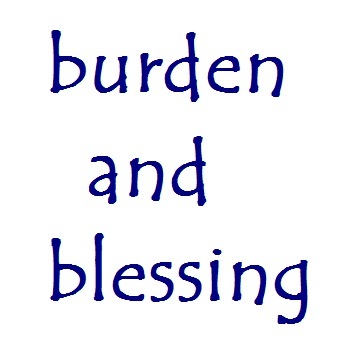 Every technology is both a burden and a blessing; not either-or, but this-and-that” (pp. 4-5). From this, we as readers are asked to open our eyes to the burden and blessing of technology in our society. The burden and blessings inherent in technological innovations can result in social, cultural and ideological changes. To illustrate this point, Postman (1992) cites the example of the clock and its role in bringing about Capitalism (p. 15). This notion of the implications on society and transformations that take place is also discussed by Ong. Ong (2002) points to the transformation that arose out of the technology of writing, whereby “without writing, the literate mind would not and could not think as it does, not only when engaged in writing but normally even when it is composing its thoughts in oral form”(p. 77) . Key to Postman’s writing is the concept of the impact of technology. Postman’s writing urges users to carefully look rather than blindly leap when it comes to technology. Postman, by drawing society’s attention to the ‘price tag’ attached to technology encourages one to make more informed decisions and weigh the benefits and costs. Such a need for society to take proactive measures is critical, for failure to do so would leave one in the dark. This predicament is captured by Postman’s assertion regarding technology, whereby “it does not pause to tell us. And we do not pause to ask” (Postman, 1992, p. 9). Inevitably, new and old technologies collide and the unknown impact that this may have on society and its inhabitants is addressed by Postman. His discussion ponders the social, cultural and ideological implications for school children who must reconcile the world of the printed word which emphasizes logic, sequence and discipline and the world of television which emphasizes imagery, narrative, immediate gratification and emotional response (Postman, 1992, p. 16). Clearly, all the implications cannot be readily seen and may occur over a period of time in the future rather than instantaneously, whereby one may even question the point in time when the change began. Technology plays a strong force through which we conceptualize reality. Postman (1992) drives this point home by illustrating how the tools we use determine one’s view of the world, “to a man with a pencil, everything looks like a list. To a man with a camera, everything looks like an image” (p. 16); thereby instilling a disconcerting feeling amongst his readers who suddenly realize technology can shape our thinking and lives, often without us even being conscious of it. Postman wrote Technopoly to caution society about the surrender of culture to technology. However, technology and technological innovations are not defined by Postman in this chapter; thus, leaving his readers to rest upon their own understanding of these terms. This in itself represents a stumbling block to his work, as without a common definition of technology, we in essence may be operating under a different conception or premise. For example, Postman discusses writing, but understanding that writing is indeed a technology may elude some readers. To support this stand, Ong (2002) notes that in today’s society we have internalized writing and due to this we find it difficult to consider writing to be a technology; yet writing is a technology (p. 80). Despite the failure to define technology, we can agree that there is an inherent danger in trusting too fully in technology. We need to view technology with reason, looking for that which truly benefits us, rather than embracing technology that lessens us. I would caution against outright fear or wholehearted acceptance as this is not prudent, instead a healthy dose of skepticism is necessary. As educators, we must determine the role of technology in education. We must escape the trap of simply using technology for technology’s sake. Furthermore, we must question, how technology is altering learning and how education can assess technology. To address this, our education system can look to instill critical thinking and analysis in both our educators and our students. Teaching us to openly question technology will enable us to make conscious decisions. This tenet can be capsulated in Postman’s assertion that “when we admit a new technology to the culture, we must do so with our eyes wide open” (Postman, 1992, p. 7). However, whether our educational system and society will open its eyes wide or keep its eyes closed is yet to be seen. This entry was posted in Commentary 1 and tagged commentary 1, Jung, Ong, Postman, technology. Bookmark the permalink.